Are wine, beer, cheese, tomatoes, spinach, tea, and coffee bad or good for you? Are wine, beer, cheese, spinach, tomatoes, peppers, tea and coffee good or bad for you? One thing I’ve come to the conclusion about over my decades of studying nutrition is that even if something is “good for you” still might not mean it’s best to eat a bushel of it every single day. In today's article, we'll even look at a few "darlings" of the nutrition world such as spinach, tomatoes, and tea, and why too much of these can even be bad in some cases. And we'll also look at things you're told by the media are "bad for you" such as beer, coffee, cheese and butter, and why these can actually be good in many cases. It seems that even some substances labeled as “toxins” by scientists can sometimes be good for you in small doses. Alcohol is one example. It’s considered a toxin (intoxicated) by any scientist, yet for some reason, study after study shows that light to moderate drinkers live significantly longer than both non-drinkers or heavy drinkers . It's an interesting fact isn't it... that just small amounts of something considered a "toxin" could help you live longer than if you didn't drink any of it at all, but too much of it will kill you. There are confounding variables though that are hard to decipher in mixed group research or surveys of people's drinking habits… for one, it's rarely studied as to whether hard liquor drinkers would actually fare as well as somebody that ONLY drank wine or beer, each of which have their own unique antioxidants that are usually missing in hard alcohol. So is the increase in life span of light to moderate drinkers due to the antioxidants in wine and beer as opposed to the alcohol itself? Or is it a synergistic effect of both? One study I read about recently showed that 1-2 glasses of red wine per day significantly increased good bacteria in the gut and decreased bad bacteria (in addition to benefits to blood pressure, triglycerides, LDL, and C-reactive protein), yet for some reason, hard liquor (gin was tested) didn’t have any of the same benefits. It was concluded that it's most likely the polyphenols and resveratrol in wine that helps the good gut probiotics flourish and possibly also improves the blood chemistry too. And as you know, good belly bugs have immense benefits to your digestive system and your immune system. Personally, I’ve grown quite fond recently with having one glass of red wine with dinner about 5-6 nights per week now. I look forward to that glass of wine each night, sometimes with a good aged cheese out on the deck watching the sunset before dinner. Occasionally I have 2 glasses if I feel like it. But I know if I had 7 or 8 glasses, it’s more toxic than beneficial. We've been able to find some good organic wines at the local wine shop for only about $12 a bottle... not too shabby! Now in regards to the light or moderate drinkers living longer than non-drinkers or heavy drinkers, I certainly realize this doesn't mean that you HAVE to drink in order to live to 100. I know, I know... your Great Aunt Helen lived to 102 and never drank a sip of alcohol right? Well, I'm sure there are also examples of someone you know that smoked their whole life and lived to 100 too. The point is that these are just general stats on the population as a whole (smokers die younger, light drinkers live longer, etc), and every individual has thousands of different factors (nutritional, lifestyle, social, stress, etc) that combine together to determine how long they'll live. In my 20's and early 30's, my buddies and I used to drink a lot of "light" beers on weekends when we were hanging out together. Nowadays, I don't drink much beer at all anymore, but when I do choose to enjoy a beer maybe once a week, I always choose a quality dark beer. Once again, moderation seems to be best. 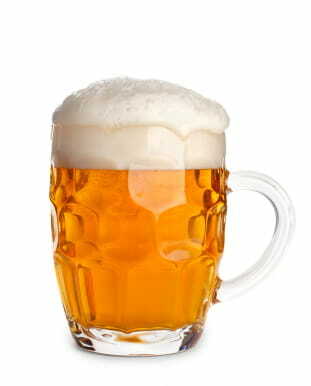 A couple beers a week probably has benefits, but a six-pack or more a night might put you in an early grave. Well, while it's true that I personally try to avoid most grains because of some of the digestive-system harming antinutrients and gluten (which also affects immune system and lots more), this is less of an issue with beer because it's been fermented . Any time you ferment something, the microbes involved in the fermentation effectively render many of the toxins more neutral and easier to digest. This is why fermented soy can actually be somewhat healthy, while unfermented soy is terrible for you. This is also why sourdough bread (since it's been fermented) is less harmful to you than regular whole wheat bread, and the gluten is actually more digestible in fermented sourdough bread (more on that another day). This is also why fermented dairy such as kefir and yogurt are the most digestible forms of dairy, and much more favorable compared to plain milk. Many old-school nutritionists, dieticians, and news reporters that don't understand true nutritional biochemistry always talk about the FAT in cheese. 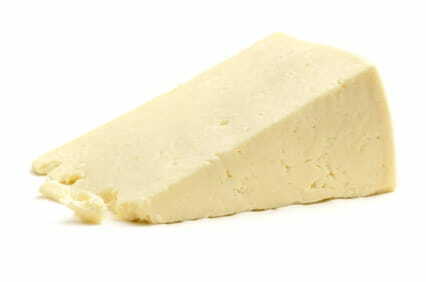 They say stuff like "cheese is fattening" or "always choose low-fat or fat-free cheese". If you read my article here, you'll see why the fat in grass-fed cheese can help you to burn fat and even prevent heart disease . I know that may sound crazy, but you can't ignore the fact that the fat in grass-fed dairy contains powerful nutrients such as vitamin K2, which has been shown to prevent arterial calcification, as well as the healthy fat, CLA, which is shown to help burn fat, build muscle, and fight cancer. Aside from the fat portion of cheese, which we know may actually be the healthiest part of any grass-fed cheese, what about the digestibility of cheese, and components like the casein? Well, it's true that certain people may have difficulty digesting the casein (or lactose) in some dairy products. But keep in mind that fermented dairy products like kefir, yogurt, and aged cheeses are generally the easiest to digest since they've already been "pre-digested" by microbes in the fermentation process. So the majority of people do not have issues with digesting fermented forms of dairy. And kefir is 99% lactose-free in most good brands because the microbes consume and digest the lactose in the fermentation process. When it comes to cheese though, the KEY to digestibility is that it's a good quality AGED cheese ... A true aged cheese that's gone through multiple stages of fermentation from various forms of microbes will always be the easiest to digest due to the pre-digestion already performed by many of the microbes, as each stage in the aging process will help break down the dairy components into more digestible forms. For example, if you like cheddar cheese, one of the best options that's also easy to find at most stores is Kerrygold Irish... each type has been aged for different amounts of time, and all of their cheeses are from grass-fed cows. I've found several European aged cheeses such as Midnight Moon and Ewephoria (aged goat and sheep cheeses) which I'm in LOVE with! Whatever you do, steer clear of cheap processed cheeses like American cheese, salty cheese spreads, cheese "loaf", etc as these are generally not healthy. What could possibly be wrong with Spinach? 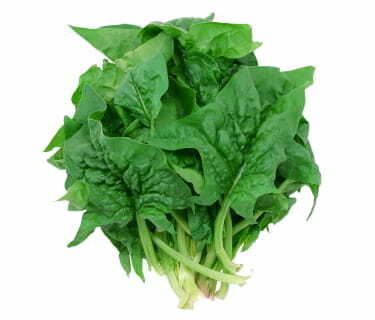 However, spinach and other dark leafy greens contain higher amounts of oxalic acid which is known to cause kidney stones or kidney damage if you take in too much for too long. Most information available says that for most people, you’d have to eat very large amounts of spinach and eat it chronically to actually see negative effects, so this seems to be yet another example of moderation is probably best. My takeaway... A small mixed greens salad each night with dinner is probably beneficial to our health, but a massive greens salad 2 or 3 times a day, every single day is probably too much and may cause problems with too much oxalic acid. This is represented mostly by eggplant, tomatoes, potatoes, and peppers as the most common members of this family. There are also some wild versions of nightshades that apparently are highly toxic if you ate them in the wild. Our common agricultural nightshades are much safer, but still contain small levels of certain problematic compounds that have actually been linked to Arthritis and other inappropriate calcification type effects in certain people that are sensitive to them and over long periods of time of consuming them. 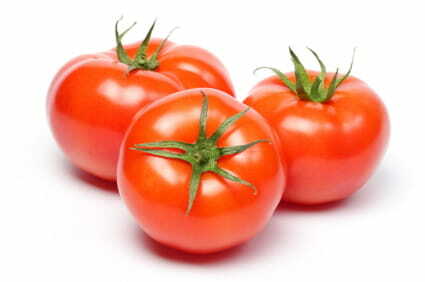 Tomotoes and peppers have the powerful antioxidant lycopene. Eggplant skin has powerful antioxidants being studied in fighting cancer. Potatoes are loaded with valuable minerals and are fine to eat in moderation (at the right times) for active people that workout a lot to fuel anaerobic high intensity training and muscle glycogen replenishment. On the other hand, potatoes also contain toxins called glycoalkaloids that are not good for you if consumed too frequently. So as you can see, although many of these plants have benefits, they can also have small amounts of toxins too that can be problematic if consumed too frequently. Once again, maybe it’s beneficial to have tomatoes, peppers, and potatoes 2 or 3 times a week for their own unique antioxidants, vitamins and minerals, but perhaps eating them with every single meal has more detriments than benefits. Probably another perfect example of moderation is best. Are we seeing a pattern here yet? Interestingly, I found out through some digging through research that a high intake of vitamin K2 from things like grass-fed butter (and grass-fed cream and cheese), organ meats, and certain fermented veggies (krauts or kimchi) can counteract any calcification effects of the toxins that are in nightshade vegetables. This is similar to the research I dug up showing that vitamin K2 also helps prevent or reverse calcification in the arteries too! Hmm, no wonder heart disease increased with the advent of margarine and the decrease in consumption of butter in our society... Not only were the trans fats in margarine probably responsible for some of the damage, but also the LACK of essential vitamin K2 caused by fooling everyone into removing butter from their diet exacerbated the heart problems! Leave it to big business and food marketing to screw up what our grandparents were doing right in the past. Is there anything wrong with healthy Tea? We all know that various teas including white, green, black, oolong, red, and herbal teas all have powerful and unique antioxidants that protect us from degenerative diseases like cancer and heart disease. And we also know that some phytochemicals in teas can even cause a very slight increase in fat loss, although I think that effect is fairly small, and still requires the rest of the diet to be on point. However, I saw a report recently that non-organic tea originating from China was found to have alarmingly high levels of dangerous pesticides in the tea (both black and green), and apparently, a lot of popular brands failed pesticide residue testing. Cancer is a concern with chronic pesticide ingestion. My main lesson from reading these reports was that I'm simply going to make a greater effort to always choose organic tea brands from now on, because it would be illegal to be labeled organic and still be teeming with pesticides. 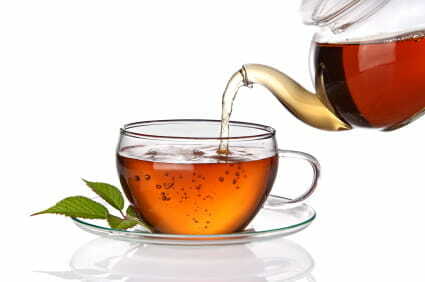 Variety also seems to be key with teas as well to avoid overuse of any one type of tea. I personally like to make a big batch of iced tea a couple times a week and I usually mix green, oolong, white, rooibos, and herbal tea bags all together into the pot to get a nice blended taste, but also a good blend of antioxidants that are unique to each type of tea. I also like chamomile and/or mint teas at night to help relax and get more sleepy and hour or two before bedtime. You can also read my 5 tips for insomnia in this article related to a bedtime ritual that helps you fall asleep easier and sleep more deeply. For some reason, most people think that their daily cup of coffee is "bad" for them. But if you avoid the sugar and fake creamers (use REAL cream and stevia instead! ), it's actually a fairly healthy drink that's oozing with beneficial antioxidants, phenolic nutrients, chlorogenic acids, and other healthy compounds that far outweigh any small amounts of acrylamides or other negative compounds found in coffee. Numerous studies over the years have linked coffee consumption to reduced risk of various forms of cancer. In fact, a 2011 Harvard study showed that men who drink 1-3 cups of coffee daily reduce their risk of prostate cancer by 30%. Other studies have linked coffee consumption to reduced risk of diabetes. I personally LOVE having 1 cup of really good coffee per day -- with grass-fed cream of course, for that all-important vitamin K2. By the way, Organic Valley has a great pasture-raised cream that I've found at many grocery stores. I look forward my freshly ground (I use a Bullet to grind the beans fresh, since this tastes far superior to pre-ground coffee) organic coffee in the morning with my nut-flour based Paleo homemade blueberry muffin... I'll share my recipe for that in a newsletter soon, but my friend Kelley Herring also has an amazing low-carb Paleo blueberry muffin recipe in her Guilt-Free Desserts manual ... And as you probably guessed since you know my style, I also top my Paleo blueberry muffins with some melted Kerrygold grass-fed butter. Mmm, what a delicious start to any morning! Once again, staying with the theme of moderation, if you drink too much coffee, you can possibly suffer the detriments of too much caffeine and the possible adrenal fatigue that can be caused by too much caffeine for long periods of time... but small amounts of daily coffee and you reap the benefits of the antioxidants that are unique to the coffee bean. I’ve been making a big effort to choose organic coffee beans at least 90-95% of the time, since apparently coffee is one of the worst crops in terms of pesticides, fungicides, and herbicides. And remember that pesticides can have estrogenic effects, but also carcinogenic effects, and that's why we choose organic most of the time. I also have an article here with 3 tricks to make your coffee super healthy . With respect to the discussion of eating things in "moderation "... Keep in mind though that I don't agree with people that say "everything in moderation" ... For example, there's ZERO reason to consume trans fats in moderation. They're just too deadly to even consume at all in my opinion, when you can choose natural healthy fats instead. And why choose to eat high fructose corn syrup in moderation when you can use real sweeteners instead, such as honey, stevia, or maple syrup. I'm sure you get my point. To summarize, I think the biggest thing you can take from this article is that many foods and drinks have some negative compounds in them, and some beneficial compounds too. If you keep good variety in your diet, and don't over-consume any particular type of food or drink, the health benefits can be amazing from many of these delicious foods and drinks. But even some healthy foods can have their problems if over-consumed. That's why I enjoy ONE cup of daily coffee, ONE (or occasionally two) cups of daily red wine, one or two cups of a variety of teas daily, ONE serving of a leafy greens salad each day, Nightshade vegetables like tomatoes and peppers a couple times a week, the healthiest types of aged cheeses a few times a week, and even the occasional dark beer... and I know that these are generally doing a body good... PLUS, they're just really enjoyable and a fun part of life! Broccoli & your abdominal fat?